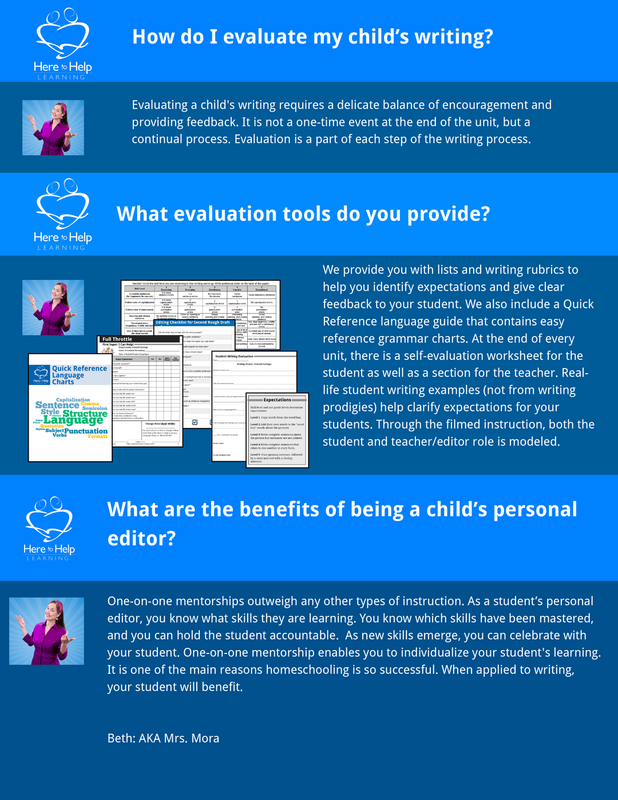 Evaluating writing is made easy with clear expectations and guidelines. Here to Help Learning provides everything you need. You might like our Home to Home blog post entitled, How Do I Correct My Child’s Writing?